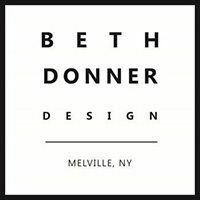 Ms. Donner brings 23 years of Interior Design experience to her company, which she began in 2008. Ms. Donner has concentrated her design projects to the New York area. Ms. Donner takes inspiration from her travels abroad and implements her findings in her design solutions making each project unique. As the principal of the firm she is fully involved in all aspects of her projects. Meticulously designing each project down to its last detail. Ms. Donner clients have been profiled in various media outlets across the nation. Her projects have appeared in The New York Times, Newsday, Great Restaurants of Long Island, Distinction, Long Island Pulse Magazine, WABC-TV, NEWS-12 and WPIX-TV.